World RX USA are delighted to have Fairmont Austin as their hotel partner for the 29-30 September event. For the best Austin accommodation experience book here and receive a 10% discount on your booking! At the heart of the vibrant Central Business District, Fairmont Austin is uniquely situated alongside the lush greenery of Palm Park and Waller Creek, with exclusive and direct access to the Austin Convention Center. 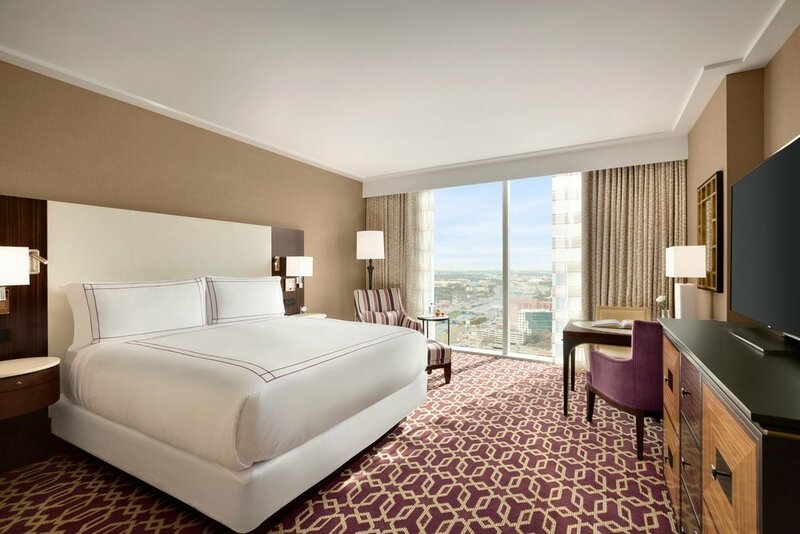 Opened March 5 2018, the 37-story luxury hotel features 1,048 richly appointed guest rooms and suites, including exclusive Fairmont Gold rooms and lounge, with picturesque vistas of Lady Bird Lake, the State Capitol and the dramatic cityscape. Boasting a level of service and amenities unrivaled by Austin hotels, guests can indulge in several dining experiences, seasonally heated swimming pool on the 7th floor terrace, full-service salon and spa, state-of-the-art fitness center and nearly 140,000 square feet of total meeting space. The hotel’s towering architectural design embraces Austin’s Green Energy program, while interior elements showcase the breathtaking Hill Country landscape and rich traditions of Austin’s cultural heritage. Fairmont Austin engages guests with the city’s famed music scene as the “Live Music Capital of the World,” as well as the area’s celebrated cuisine and diverse artistic lifestyle. Become a fan of Fairmont Austin and follow us on Facebook and Instagram. For more information, please call 512-600-2000 or visit us at fairmont.com/austin.